Over 26 months ago, our Ruth was taken away for a proposed adoption, and 3 weeks ago she was return to us. When she left, we had sought to maintain contact etc with her during this time but unfortunately this never materialised. So you can imagine the joy we all shared upon her return by the authorities, but this has come with bad news also as Ruth is very sickly and underweight. It was truly a miracle she was brought back to us, God had His hand upon her and she has returned to her brothers and sisters and family. We can only praise the Lord for this wonderful miracle. 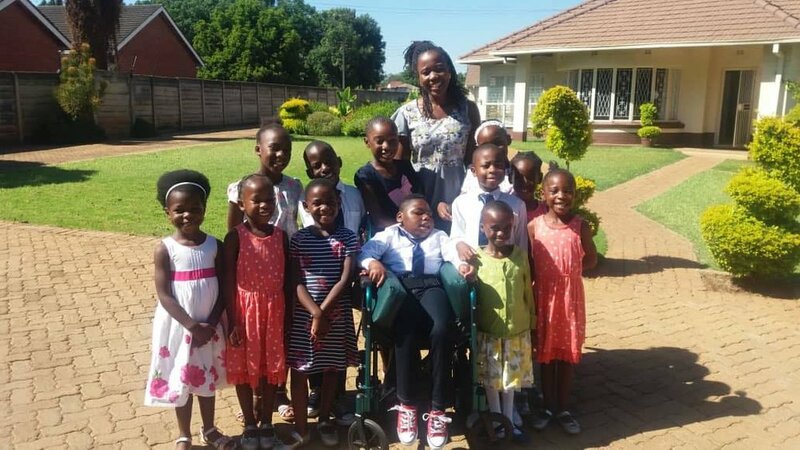 Ruth is in need of much prayer in the months ahead, please keep praying for her, she wants to start school with the small girls in January but must first gain weight and mobility. Please pray God will strengthen her body, soul and spirit as she reunites with us all. We also rejoice in great school exams and are very proud of all the children who not only passed but excelled in their classes. Abigail and Sarah were joint top of their class and Esther came 2nd just one point behind them, while Grace was the chosen as the best behaved girl in her year. Grace has made us all sing and rejoice at Jabulani as she was chosen to be a prefect in 2019 for the whole school. 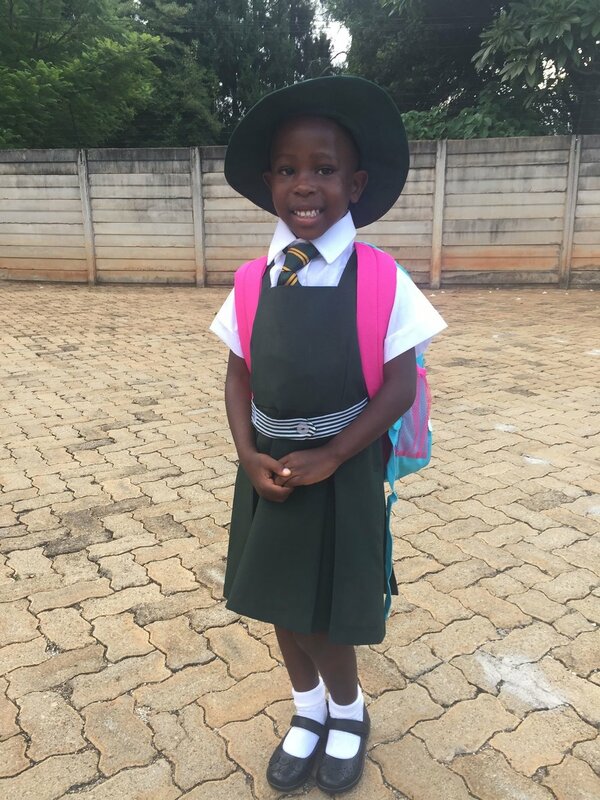 This means that her teachers have seen leadership and decision making qualities in her, Grace was chosen because she is well mannered, trustworthy and responsible. She is a role model and entrusted to train the younger children in the school's ethos and help everyone within the school body. What a gal! We are so, so proud of our Grace, pray she will prosper and know God’s blessing and anointing as she carries out this very serious and responsible task! God bless the child. The children are swimming again as the weather has got hot, although the country is in great difficulties. We have 3 tier pricing in the shops ( don’t ask me to explain it...I don’t understand either ) fuel lines everywhere due to the shortages, inflation rising and people suffering. Please pray for our great nation that God will break in and help us, it will be a very quiet Christmas for many. We thank God for our staff and the wonderful work at Jabulani, they are all great servants and work hard. We also thank God for our board and local Church 'Kingdom People' who have been such a blessing to children and staff alike. YOU are also a real blessing to us and we thank God for your heart to help and bless us. 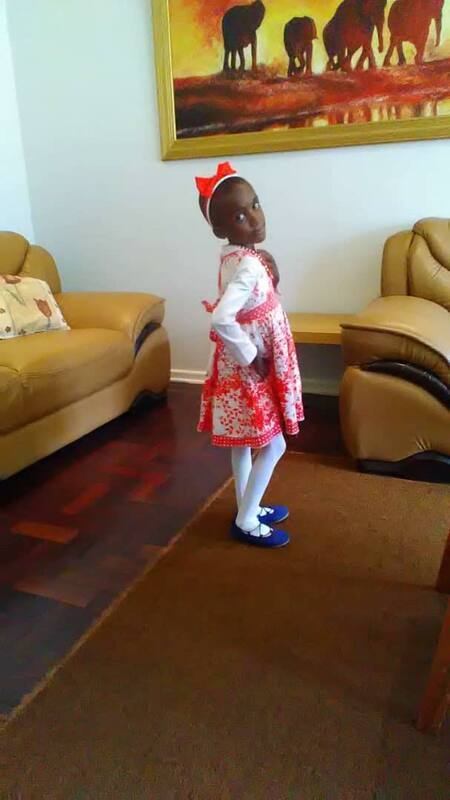 Shelter had a beautiful little girl Kunakakwashe which means 'the goodness of the Lord'...she has settled well in South Africa and values your prayers for her and the family. We are spending our first Christmas in many years in Ireland with our children and grandchildren and will return to Zimbabwe early January. Please pray we will have a great time before returning for a belated Christmas at Jabulani. Newer PostHappy 2019 from Jabulani!